Don't wait until the holidays to get into the spirit of giving. The weather is already turning colder, and that means hot coffee is once again Queen Bean, King of the Drinks, Monarch of the Mug, Czar of the Caffeinated Isles - you name it, coffee rules. Coffee is a great way to warm up on a chilly autumn morning. Holding the mug heats up your hands and every sip creates that wonderful blossoming feeling of warmth that spreads to every part of you body. There's no better way to prepare for a brisk walk among the falling leaves. But you shouldn't have to leave your drink indoors when you go out. The Mr. Coffee® Pour! Brew! Go! 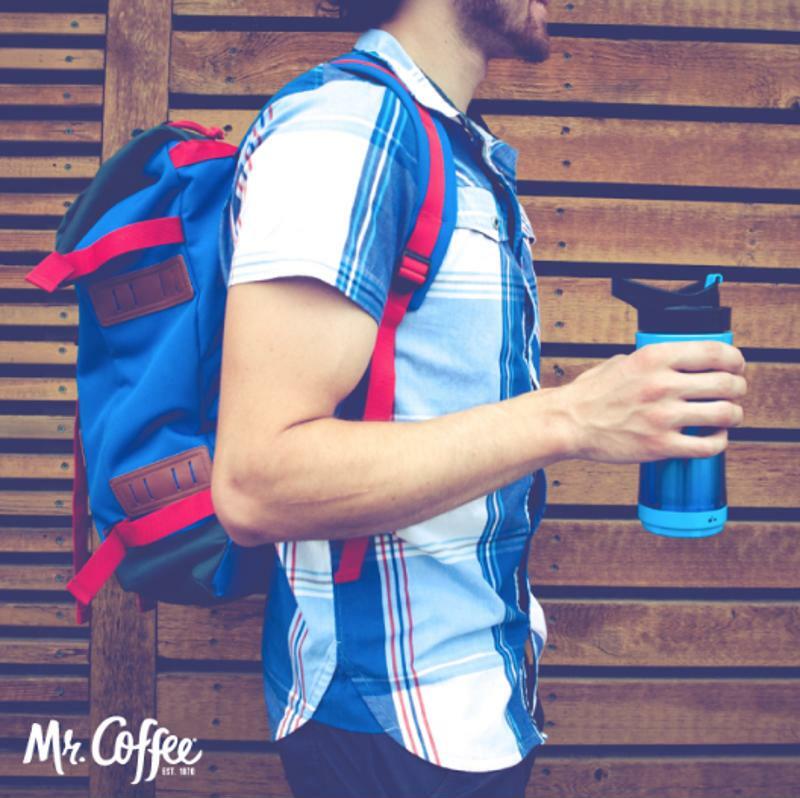 Personal Coffee Maker comes with a super portable to-go mug, so you can take the warmth with you. The warmth travels with you in the Mr. Coffee® Pour! Brew! Go! personal mug. Not everyone can be a morning person. Some people need a little extra something to kickstart the day. Coffee can give you the excitement you need to get out of bed and get ready for work, school or play. The Mr. Coffee® Optimal Brew™ 10-Cup Programmable Coffee Maker has a delay brew timer so that you can actually wake up to the delectable aroma of coffee first thing in the morning. Never again worry about messing up your water-to-coffee ratios because of morning grogginess. Know anyone that's moved recently? Coffee can be a great way to make a new house feel like home. Everyone has memories of bygone autumns, when they would break out the flannel sheets and grab a cup of coffee to enjoy on a lazy Saturday morning. An important part of these memories is the actual experience of making the coffee. What better way to create new memories than grinding coffee beans in your new place before brewing them to perfection. 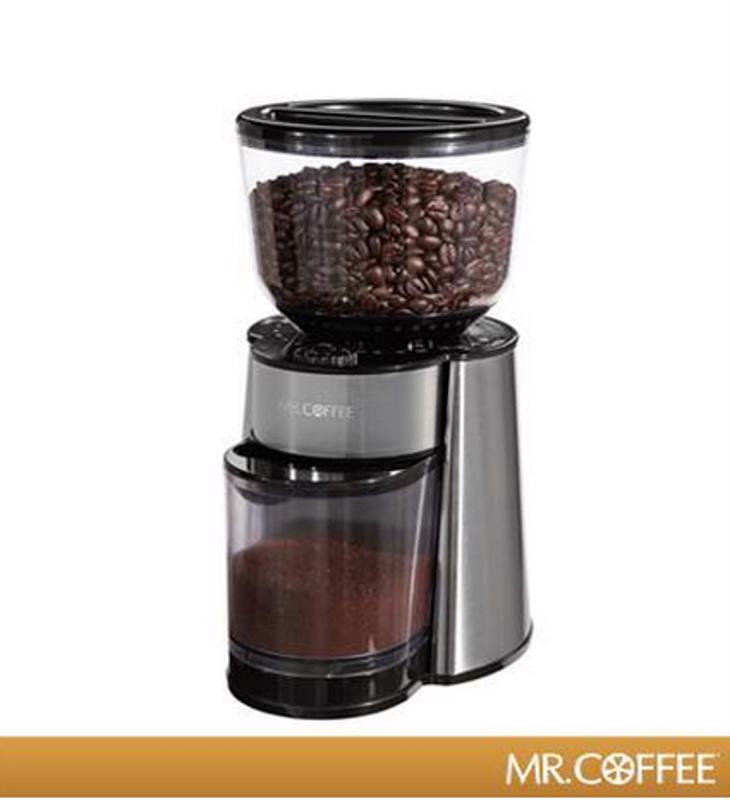 The Mr. Coffee® Automatic Burr Mill Grinder effortlessly gives you the most flavorful beans every time. For a rich, full-flavored cup of coffee, use the Mr. Coffee® Automatic Burr Mill to grind your beans. There's nothing selfish about giving your friends a gift they can share with you. It's kind of like giving the gift of friendship, when you think about it. Besides, coffee is always better when it's shared. Enjoy the changing of the seasons together, with coffee.